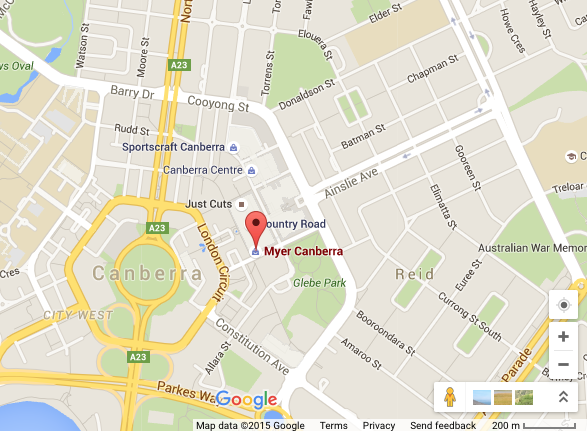 Level two of the Myer Department store in Civic has been evacuated after reports of smoke in the building. ACT Fire & Rescue was alerted to the incident at 1:23pm. Fire crews arrived on scene a short time later to find a small amount of smoke present as the result of a malfunctioning recharging station for electronic equipment in an office area. Firefighters are currently ventilating the smoke and undertaking atmospheric monitoring before allowing staff and customers back inside. It was a recharging station for electronic equipment (checked with a spokesman for the ACT Emergency Services Agency this morning). I think you would agree with me that a battery charger isn’t “a machine”. Calling a battery charger a “recharging station for electronic equipment” is tantamount to calling a kitchen window a “manually operated visual interface”. Someday, all this PC nonsense will kill someone. I might try “manually operated visual interface” next time I ask someone to close a window for me and see how it goes down. I’ll change headline to office equipment rather than machinery as well, thanks. Was it a lathe, surface grinder. bearing press or what?